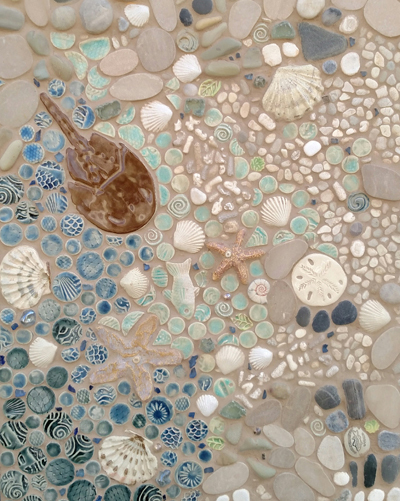 We create original handmade custom artisan tiles for tile installations and decorative accents in your home, restaurant or workplace. 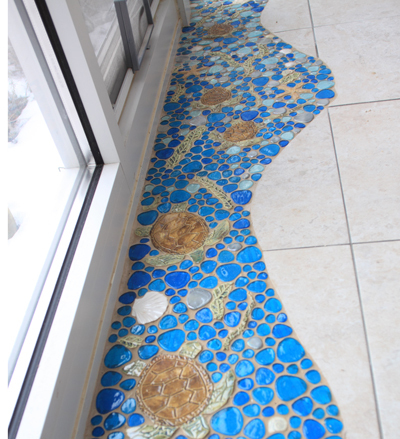 The tiles are all hand cut, formed and detailed individually. 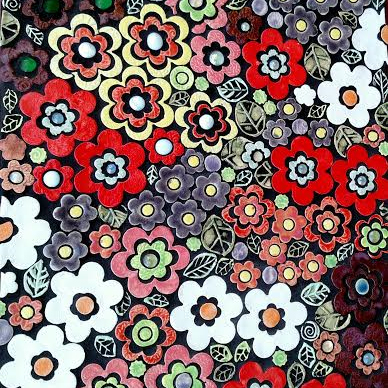 They are made the old fashion way, with a rolling pin and slat of wood. 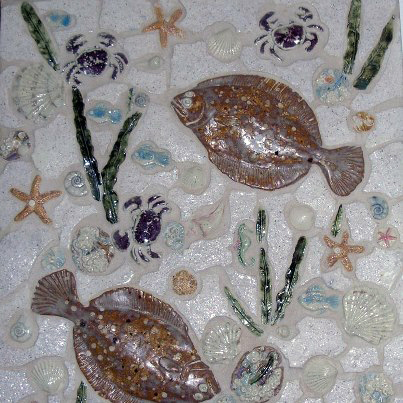 Our artisan tiles are handmade and cut to order. 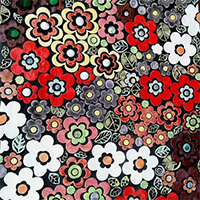 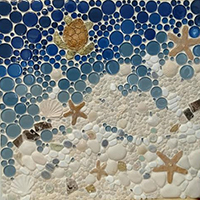 The tiles may be flat or three dimensional and the tiles come in a range of colors and size. 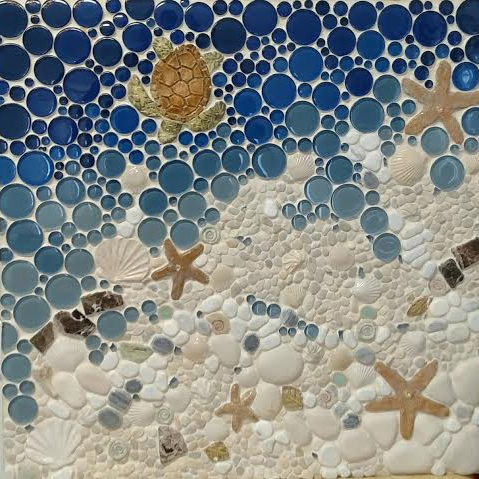 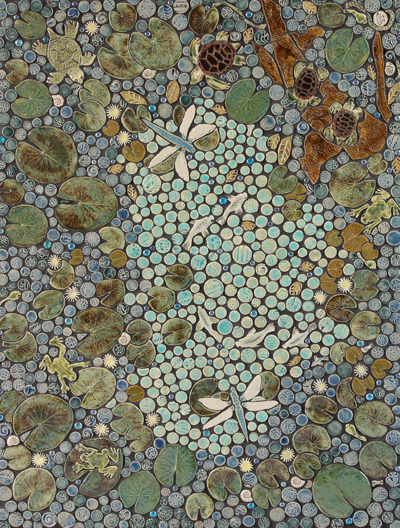 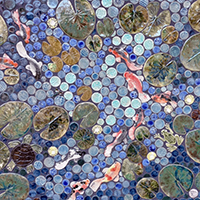 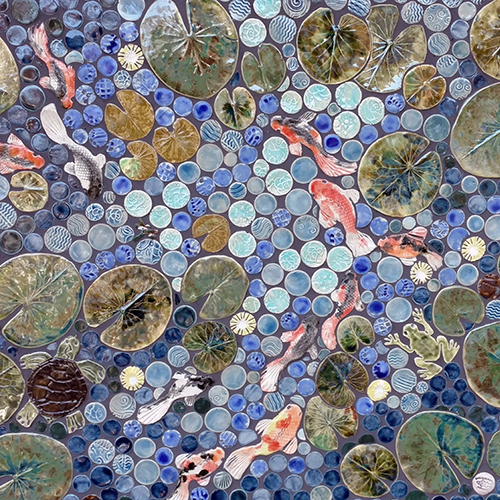 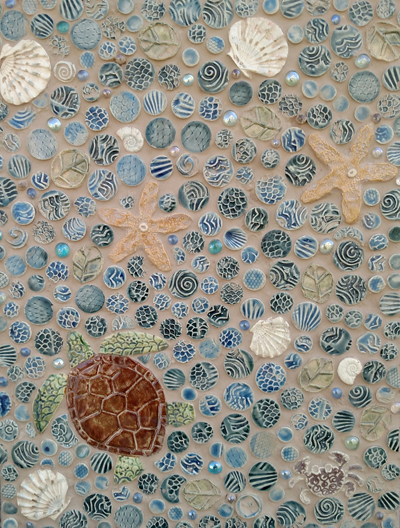 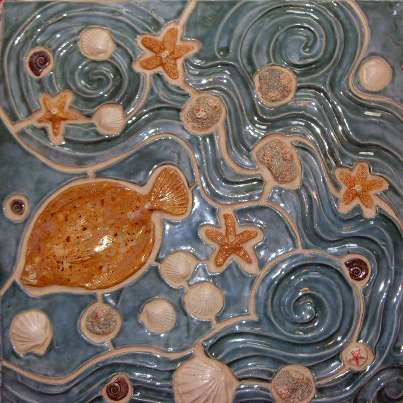 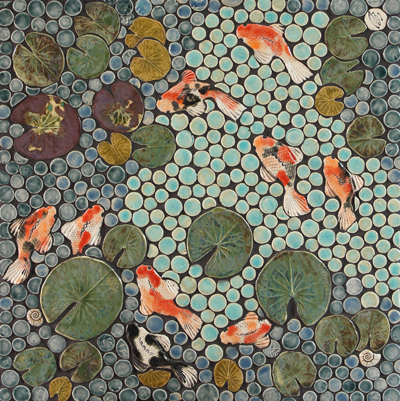 Flounder, horseshoe crabs and schools of fish, Bass River Pottery prides itself on creating realistic artisan tiles.